Kerika makes Scrum easy for everyone, even people who are not techies. This tutorial video shows how you can set up boards for each of your Scrum Sprints. We used to have a feature that let you get a task summary email from Kerika everyday at 6AM that summarized all the things that you were responsible for that are overdue, due this week or due next week. 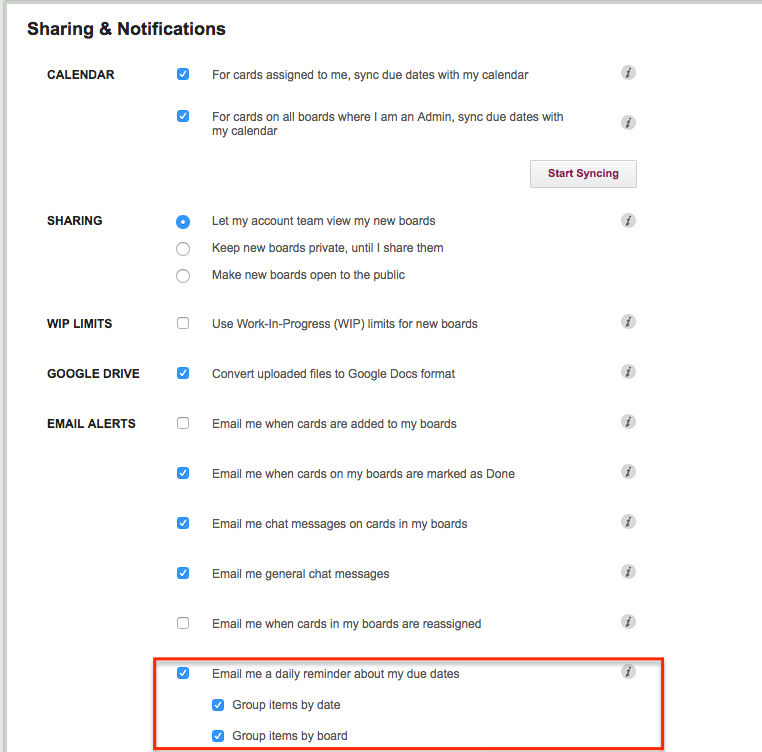 When we introduced the Views feature, we thought perhaps this 6AM email was not needed any more, so we took it out of the user interface for a few months — although people who had previously been using this feature continued to get their daily emails. The board names and card names are also links that you can use to open the relevant work item. 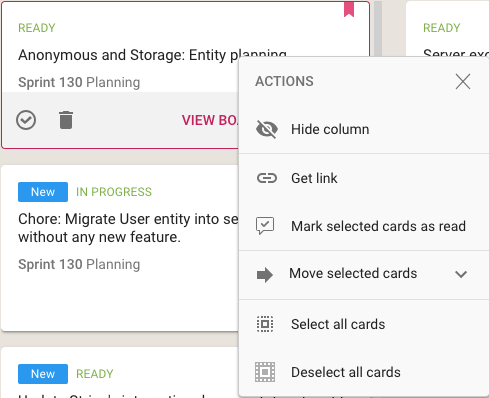 When we first added the ability for you to add a list of tasks to a card on a Task Board or Scrum Board, our expectation was that these tasks would be short and to the point: maybe just a few words long. 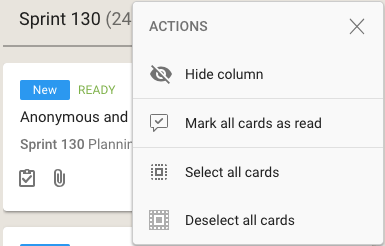 And to make the display of tasks neat and tidy inside a card’s details view, we truncated long tasks to show just two lines worth. We figured this was a reasonable restriction that would make the layout look better, and wouldn’t actually inconvenience anyone since we really didn’t expect people to create very complex tasks, that might take more than one sentence to spell out. Well, that turned out to be a bad assumption: the tasks feature turned out to be far more popular than we expected, and we soon started getting complaints from people that didn’t like seeing their tasks get truncated to two lines. In the example shown above, the first task is long enough to spill out over three lines, and all three lines are shown. So, there you go: tasks became a little more flexible! 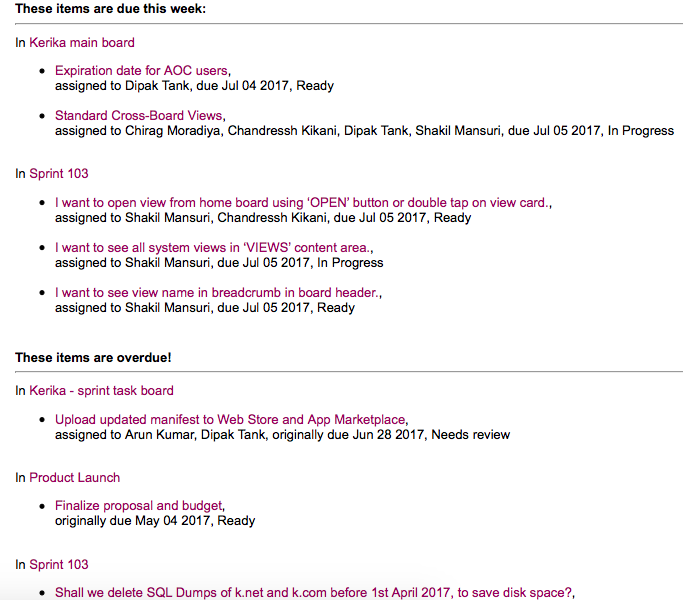 If you create a list of tasks on a card on a Task Board or Scrum Board, Kerika does a bunch of stuff in the background to make sure your view of what’s due, at the card level, board level and account level, are always correct. 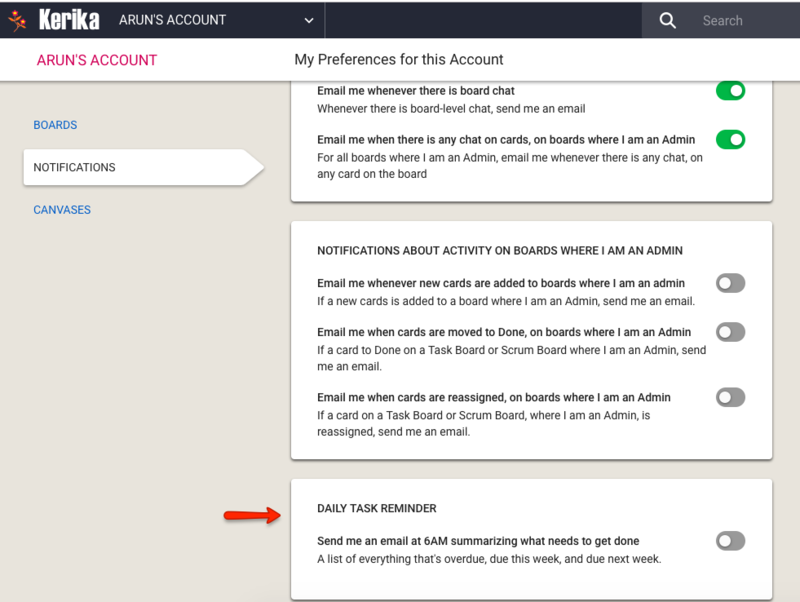 When the last task with a scheduled due date was removed (deleted) from a card, this wasn’t correctly adjusting the due date for the card itself. Similarly, when the last task with a scheduled due date was no longer scheduled, this wasn’t correctly adjusting the due date for the card. 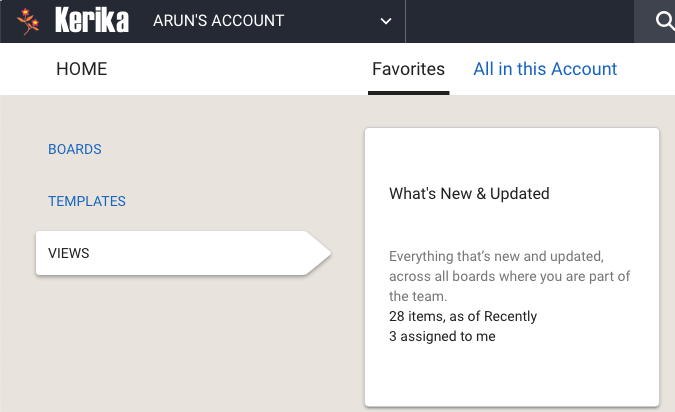 You now have two options: you can get all your overdue and due items sorted by date, or by board. Or both. We have also improved the “group items by date”: instead of showing what’s due today and tomorrow, this email now includes What’s Due This Week and What’s Due Next Week. “This Week” is adjusted automatically as the week progresses to keep track of what’s left for the current week, which always ends on Sunday.